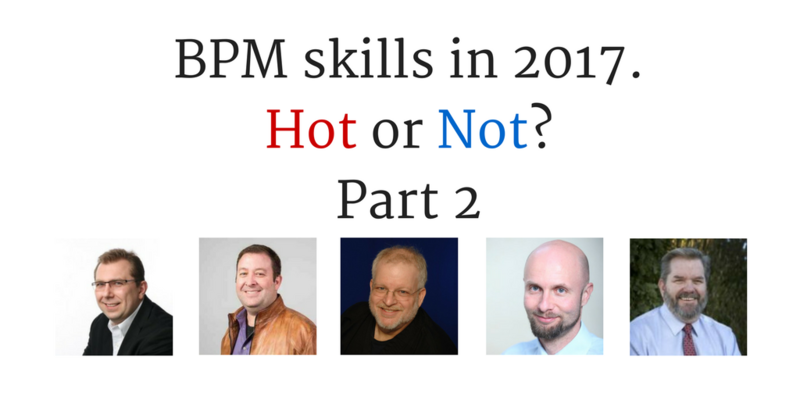 I am happy to offer you great addition to BPM skills in 2017 post – tips from 5 BPM thought leaders: BJ Biernatowski, Scott Francis, Scott Menter, dr. Tomislav Rozman, and Roger Tregear. 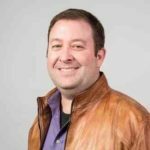 BJ Biernatowski is a BPM Evangelist with 15 years of experience with large-scale business transformations. His articles have been published by KW World and others. He has advised on topics of BPM adoption at Fortune 500 companies, that include designing one of the largest clinical business rules-driven systems as well as receiving an award for the most diverse application of BPM. BJs areas of interest include CoEs, Knowledge Work automation, and business-driven development. 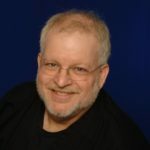 He can be found blogging at the Healthcare BPM Practitioners LinkedIn group, which he founded, as well as chasing Bigfoot on the Olympic Peninsula. UW Foster School of Business alumni and a Seattle, WA resident. What are the skills and techniques that can help BPM practitioners create value for their organizations in 2017? Which skills are no longer relevant or not practically applicable yet (hype)? – Technologies and platforms that require multi-year investment into skillset development. Who’s got the time? Scott Francis is CEO and Co­-Founder of BP3, a BPM specialist firm focused on accelerating process innovation for customers. Scott and his team have grown BP3 into a Leader in Forrester’s Wave for BPM Services Providers, a top 10 Company in Fortune’s Great Places to Work, a top 10 company in Austin’s Fast 50, and to 120 employees worldwide. Scott is a speaker at conferences such as: bpmNEXT, BPMPortugal, and BPMCAMP, and is the primary author of BP3’s blog. The skill that never goes out of style or out of date is leadership. Any technology evolution or disruption depends upon people to lead the change, and make sure it is effective. I’ve never seen a BPM program suffer from a surplus of leadership skills. Leadership will take you through any technology evolution, and into the next one. Mobile. Cloud. Location. Social. IoT. Cognitive. And the next one. Businesses will always rely on leaders to take them in the right direction and to navigate the waters. Secondly, another “skill” for 2017 to develop is to deeply care about your customers’ businesses. This means understanding your customers’ core motivations, programs, and directives – and values. And it means adapting your work with BPM to align with those objectives and values. And finally, develop a personal regard for their business, make it your business. 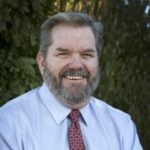 E. Scott Menter is Vice President, Business Solutions for BP Logix, Inc. You can find him on Twitter at @ESMatBPL, or via email at Scott.Menter@bplogix.com. One of the most essential skills for the BPM practitioner—and one that is in incredibly short supply—is simply empathy. In this context, empathy is the ability to put oneself in the mind of one’s customers, and to experience the application and workflow as they do. Enterprises are investing significant resources to build complex digital applications, and then struggling with adoption because, put simply, the user experience is awful. It’s not just a matter of making UIs (forms, reports, and so forth) look pretty: it’s a matter of making them intuitive, timely, and yes, also pretty. The demand for legacy process analysis skills is falling by the wayside. I refer to this phenomenon as “draining the swim lane”; that is, the abandonment of the twentieth century emphasis on flowcharts, “as-is” modeling, and over-analysis. This shift represents a significant mindset change for professionals trained in Six Sigma, OpEx, and yes, even BPMN. But the change is necessary in order to support the broad view of BPM as a platform for digital application development. 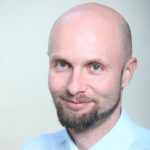 Dr. Tomislav Rozman is a BPM trainer and consultant with more than 15 years of experience in academic and real world environment. He has initiated a ECQA Certified Business Process Manager training programme in 2010, which has been visited by more than 740 participants. The training programme for managers was extended in different directions: sustainability and social responsibility management, digital transformation and gamification, financial management. The specialised training programme “BPM for higher education institutions” was awarded as “The Best Innovative project in EE” in 2013 by KPC-Group – independent representative of Gartner, IAMCP and CIO Council. For the last 7 years he is managing his consulting company (BICERO Ltd.) and occasionally cooperating with higher education institutions as assist. prof. for BPM and IT related courses. BPM core skills, such as conceptual process/information/decision/rule modelling, documenting, analysis, automation and change management are still relevant. I think they will never go away, they will just get new names in the following years. We are already experience terminology changes such as Customer journey design, User eXperience design and similar. 1. ablility to to transform your processes to be more sustainable from economic, environmental and social aspect. For example, the companies must strive to redesign their processes in a way that they close the material loop (using less raw materials), minimize environment impacts and manage social relations. This means a clear win. 2. ability to see and connect the whole organization into a coherent (gestalt) system, driven by customer impulses. Learning the patterns of UX (User eXperience) design & processes is becoming a core skill for a BPM practitioner. 3. ability to motivate all players in the system. Integrating gamification mechanisms into processes can create a big market value and motivate employees / customers at the same time. Just think about how engaging massive mobile games are. If a BPM practitioner is aware of gamification principles and is able to reshape the processes according to these principles, the organization clearly wins. I suggest that new analysts start with core BPM skills and then continue to climb the ladder of accompanying skills, which are not necessary directly related to the BPM. A BPM practitioner must strive to become PI shaped professional: acquire the width of business, IT and psychological skills with some deep understanding of the skills from 3 groups, mentioned above. Proprietary modelling languages should be avoided (at least until they become standard), because the purpose of the modelling is to share the understanding and common vision of the processes. BPM vendors, which are limiting the number of viewers/modellers, should reconsider their licencing policies. What’s the use of BPM platform, where only 3 analysts can see the organizational’s process repository? Roger is a regular columnist for BPTrends. 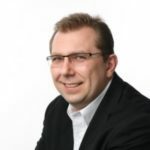 He is author of Practical Process (2013), co-author of Establishing the Office of Business Process Management (2011), and contributed the chapter Business Process Standardization in The International Handbook on BPM (2010, 2015). With Paul Harmon, Roger edited Questioning BPM? (2016). Roger’s iconic book, Reimagining Management, was also published in 2016. Process Precepts (2017), Roger’s latest book, involves a cosmopolitan, global team in discussions about the process of management. Process-based management (BPM as a management philosophy) is a radically different way to think about any organization and how it executes its strategy by delivering value to customer and other stakeholders. Practitioners must properly understand this big picture and then provide the leadership and communicate the ideas. They must be able to clearly describe the value proposition and sell and realize the change. The details of methods, techniques, and technologies are critically important, but the real benefits of process-based management are born of shared ideas about the cross-functional exchange of value, not models and IT systems. Didn’t have time to read the original post? Get the “BPM skills in 2017” guide as a convenient, downloadable PDF.